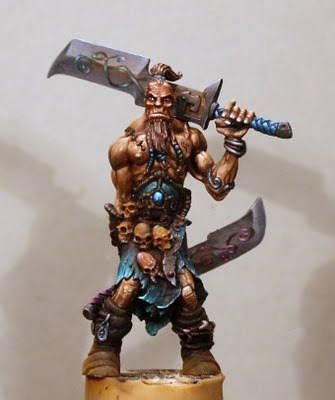 after a long time, I couldn't show you anything from my table, I have finished this Rackham mini today morining. I really love the miniatures from this company. I have bought ca. 100 blisters and 10 boxes from them when I heard that they don't produce any new miniatures for painting. But for cheaper prices (most blisters for 2 euro :D) Okey, seems like I am a bit crazy. 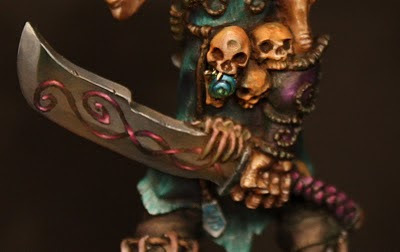 I tried some new things with pigments, to let the skulls look very old and dirty.. Tried to make the tips from Raffa in my miniature. I added some white and red + little bit violet in the face. Thanks for answers and critics. I keep him on the cork, until I have finished his base. Apart from that I just love the NMM, keep up the good work. Very very nice, i really like him. I would make the face a bit brighter to set more focus into that certain area. I'm very curious how the base is going to look like! Yeah, well done, Oli! I like it, too. Agree to Raffa, the face could have been a little brighter. Would have underlined the wonderful light you've set at the rest of the skin. Only thing I don't like at all are those skulls. You used the pigments a little to wild. Don't know if it works at all at such a small size. Maybe you can remove a little of it. 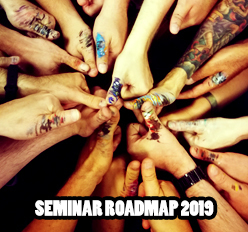 Looking forward what will come next!! Thanks for all your answers, sorry that I needed so long for answer. Some of this problems I could solve I think. I hope you can see it on the last picture. Well done. 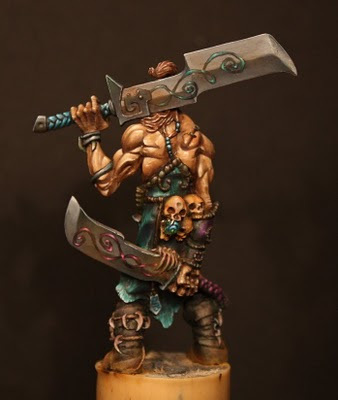 I am looking to get this mini, how tall is he and does he come with a 20mm base? 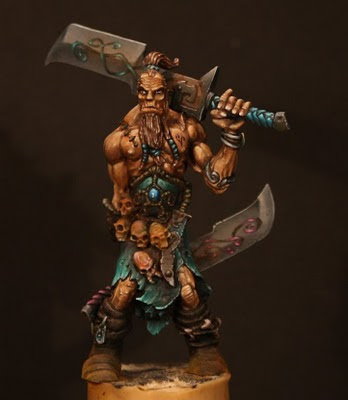 I am not sure if this Rackham Miniature is still available as Rackham is no more, maybe you might have a chance at ebay or as final stock in some online store... 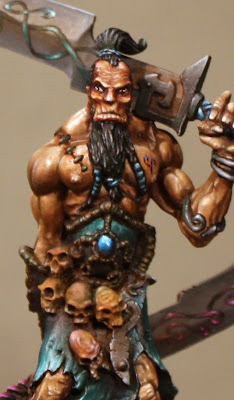 The base is 20x20 as far as i know but you could stand him on a base that you like anytime! Dark Elf Standard Bearer - Daniel? Plinth Country - check this out! 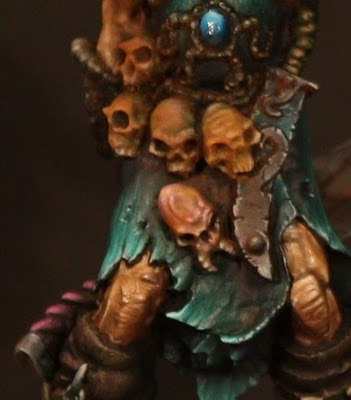 Tutorial - How to send a miniature?